Which Sale-a-bration set is your favorite? (Don’t know? Check them out right here!) 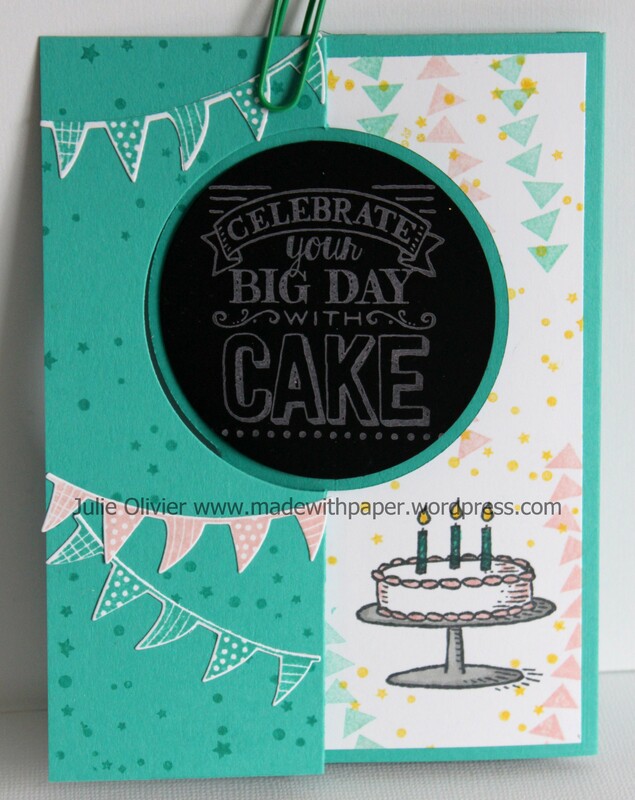 This Birthday set called “Big Day” is on top of my list! 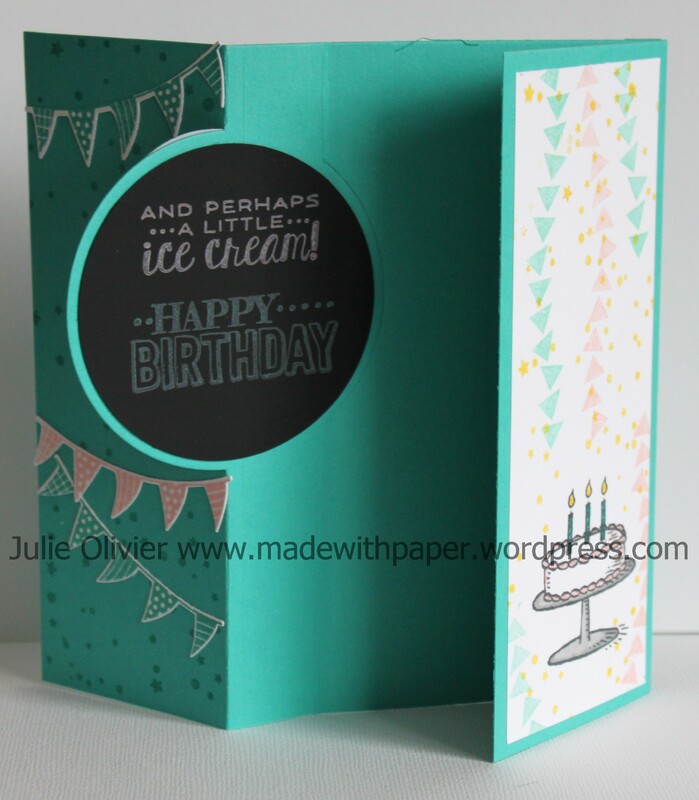 I used it to make this Birthday flip card! I also used the new Chalkboard paper and the new ColorBox Chalk ink pads! 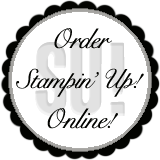 The Chalkboard paper has a smooth grain that pairs perfectly with the Chalk ink pads! I love that contrast! I also used another Birthday stamp set called “Celebrate Today” (from the new Occasions catalogue p.11) This set has matching framelits dies to cut the balloon, banner, bow etc… Buy this set and Framelits as a bundle and save 15% on both! The Circle Card Thinlits was used to cut the card and turn it into a Flip Card.